Tom is a member of the famous Magic Castle in Hollywood and he has been performing magic in the Santa Barbara Area for more than 40 years. 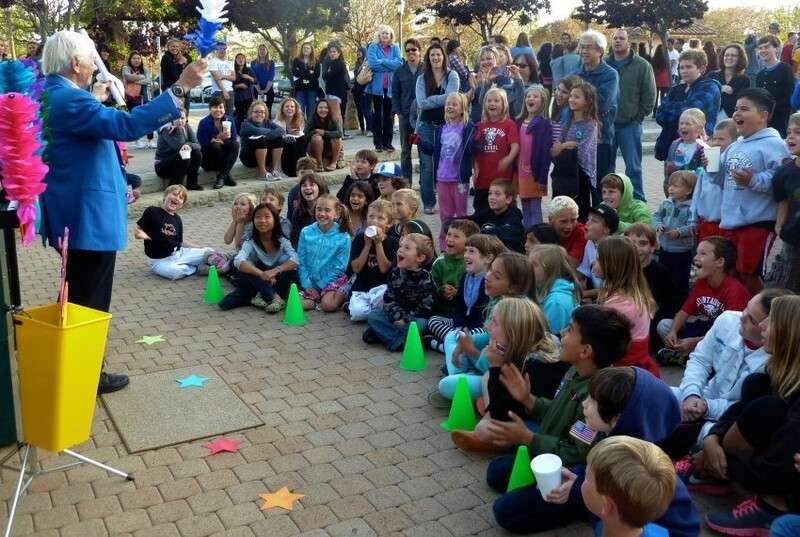 His specialty is magical entertainment for children's birthday parties and family parties. 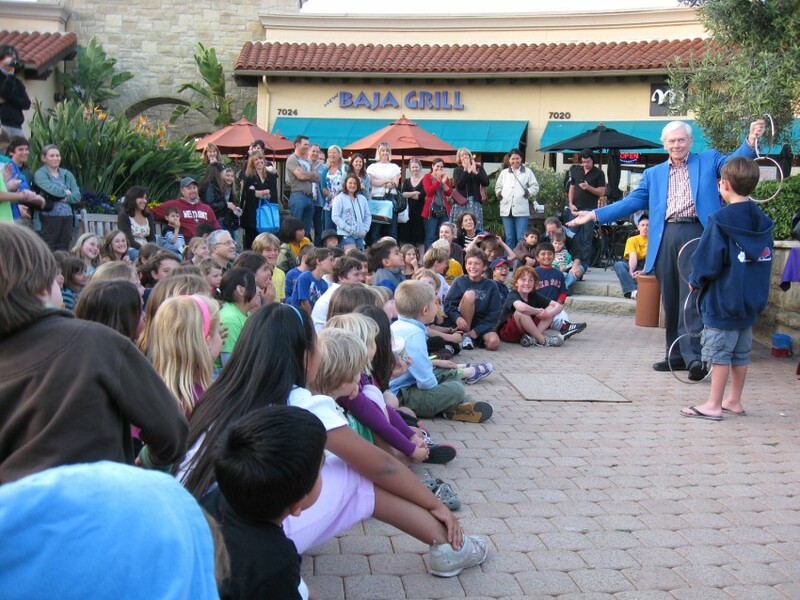 Tom's rates are low because he is a local Santa Barbara Magician, and Tom will never require a deposit. 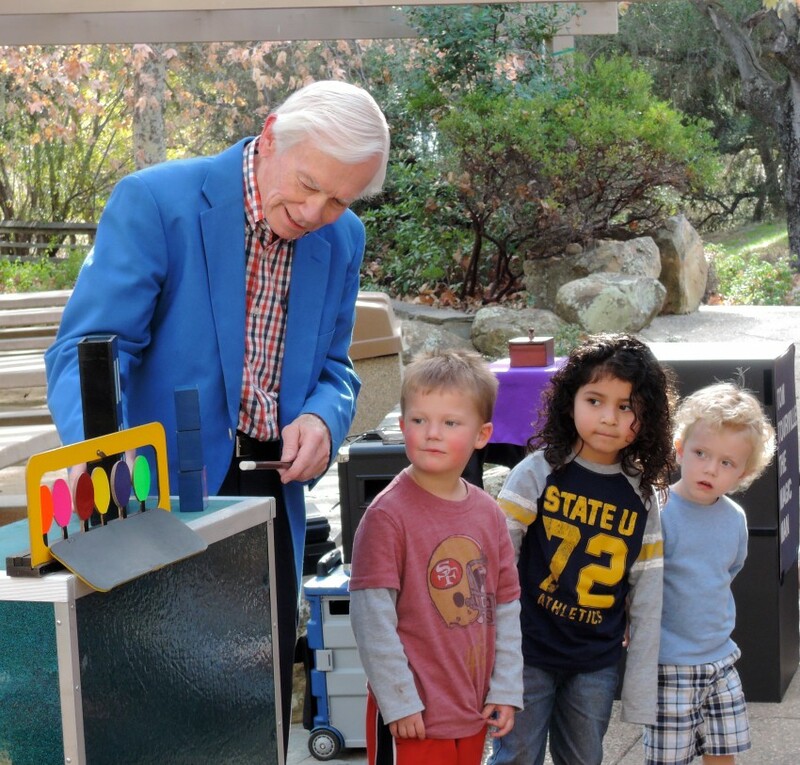 Our grandson loves magic, and Tom's magic show was a perfect way to celebrate his 6th birthday. Tom and his assistant, Bonnie, made the perfect team. Tom and Bonnie came prepared. We were able to easily accommodate his set up for the show in our living room. Bonnie took photos and made sure to capture the delight on the children's faces. The children watched with excitement and also enjoyed the opportunity to participate in the show. Adults and children, ages ranging from 2-10 years of age had a wonderful time. Thank you! Perfect addition to our son's 6th birthday!!! Tom and his assistant Bonnie were punctual (arrived 30 minutes early and then disappeared until it was time to set up so as not to impede on our party). The kids were in awe and didn't lose focus during the entire 30-minute show (we had kids ranging in age from 2 years to 13 years, and the adults were in awe too). 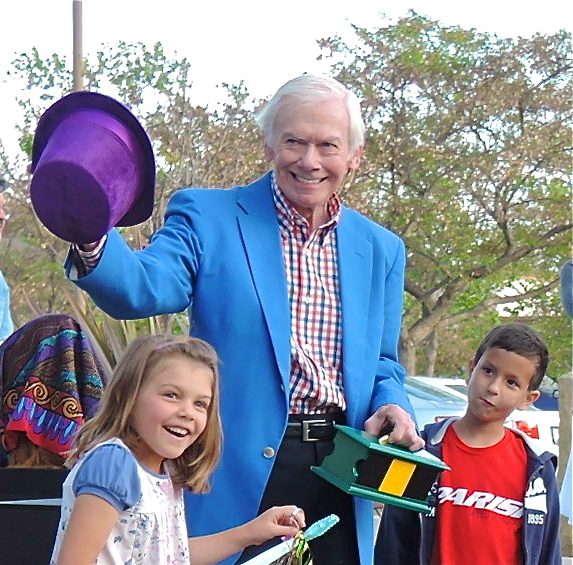 At the end of the show, Tom taught the kids a magic trick that they got to take home with them. I highly recommend hiring Tom for your next kid event!!! Tom and his assistant Bonnie demonstrated the utmost precision and planning for our granddaughter's 5th birthday party. Smooth set up and such a kind and approachable personality that each and every parent and child instantly felt at ease in his presence. His thoughtful inclusion of several kids in his illusions and acknowledgement of the birthday girl made them all giddy with excitement and anticipation. Tom was AMAZING! We hired him for my sons 5th birthday party and all the kids absolutely loved him. We really appreciated how interactive it was and I think Tom was able to get almost every kid on stage— they all left feeling like magicians. Thanks Tom for making the party so special! 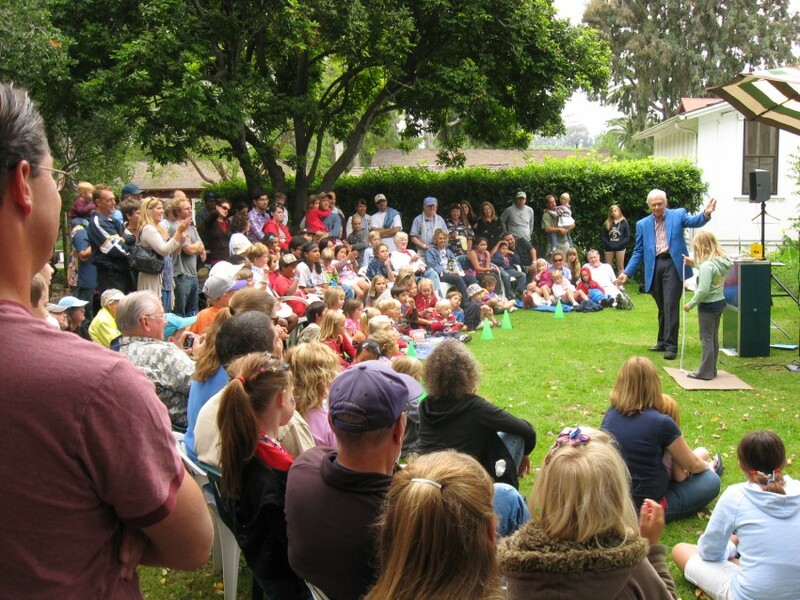 I had a great time entertaining everyone in the party room at the Moxi Museum of Exploration in Santa Barbara. Kids 2 to 12 were in attendance. All loved the show. Parents laughed and couldn't figure out all his tricks. No one was disappointed. Highly recommend tom. THANKS TOM FOR A WONDERFUL SHOW. We hired Tom for our 7 year old's birthday party. Tom was very professional and arrived 15 minutes early to set up like he said he would. We had 17 children from my son's class including several other siblings. With this large group, Tom held their complete attention for the entire half hour. That to me that was money well spent. Thanks Tom and Bonnie for taking such wonderful photos to capture the moment! We hired Tom to do a magic show for our daughter's 4th birthday party and everyone loved it! There were kids of all different ages and he was able to keep them entertained and captivated for the whole show! To me that is magic! Tom is really sweet, funny and has some really cool magic tricks! The little ones loved him and so did we! I'd hire him again in a heartbeat! Our party had a good amount of 4 and 6 year olds and both ages found the show quite amusing. Tom was a pro at including the crowd in the commentaries and demonstrations. It was the absolute highlight of the party and the kids couldn't stop talking about the magic. Well worth it. He is very professional and I even received pictures from our party afterwards. I highly recommend.